Adison Godfrey reviews "Children of Blood and Bone" by Tomi Adeyemi. Tomi Adeyemi has been hailed the next J.K. Rowling. She’s the author of the best-selling young adult fantasy “Children of Blood and Bone.” I’m all for the comparison if it encourages people to read the 24-year-old’s gripping debut novel, but I actually think it deserves to stand on its own. I devoured this book. I’ll admit, the J.K. Rowling comparison is part of why I picked up the book in the first place. But I was also drawn to the book because Adeyemi incorporated elements of West African mythology and described the book as “an allegory for the modern black experience.” I was curious to see how Adeyemi would weave together folklore, fantasy and social commentary. After reading the novel, I can attest that she does this masterfully. “Children of Blood and Bone” is set in Orïsha, a fictional land that was once inhabited by maji, those who had magic; kosidán, those who didn’t; and diviners, those who would become maji when their magic awakened. But the kosidán king of Orïsha led a crusade against magic. He orchestrated a genocide in which all of Orïsha’s maji were slaughtered… Zélie’s mother among them. After the genocide known as “the Raid,” Zélie believes the gods who bestow magic among the diviners are dead, too. But the king’s daughter, Amari, discovers this isn’t true. She overhears her father and his commander discussing a magic scroll he thought had been destroyed--a scroll that has the power to awaken a diviner's magic. To test this, the king gives the scroll to Binta, a young diviner who is Amari’s handmaid and best friend. When magic explodes from Binta’s hand, the king swiftly kills her. Amari had known of her father’s cruelty, but seeing him murder her best friend with no hesitation or remorse is more than she can take. She steals the scroll and runs away from the palace that has confined her… and crosses paths with Zélie and Zélie’s brother. The three end up embarking on a journey to restore magic to Orïsha before the centennial solstice, after which it will be too late--magic will be gone forever. Bringing magic back is no easy feat. King Saran will go to any lengths to destroy magic and effectively bury the diviners, who have been oppressed ever since the Raid. His son, Inan--Amari’s brother--is determined to help him by finding Amari and killing Zélie… and anyone who gets in the way. He has internalized his father’s teachings that magic is a threat to the land he’s bound to protect. The story alternates between the perspectives of Zélie, Amari, and Inan, building to a stunning conclusion that leaves the reader wanting more. And there will be more. 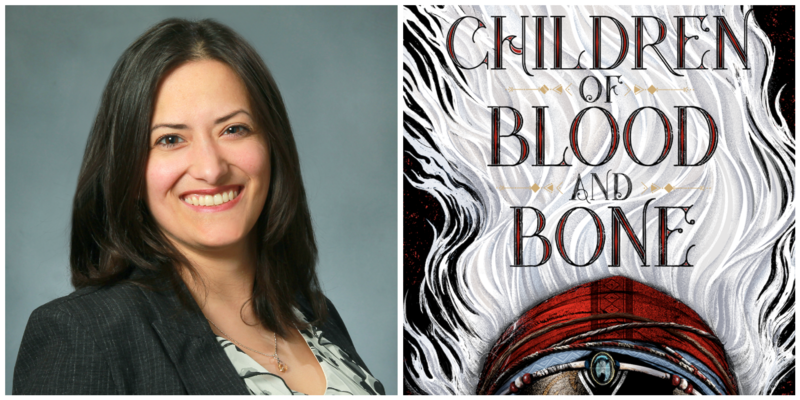 “Children of Blood and Bone” is the first book of a projected trilogy. It’s been a long time since I’ve felt so engrossed by a fantasy world, and I can’t wait for book two! Reviewer Adison Godfrey is a graduate assistant at WPSU. There are some books I read and don’t think about much afterwards. They just don’t leave a lasting impact. But “Exit West” by Mohsin Hamid stayed with me. The past few years have seen a veritable flurry of renewed interest in the idea of bringing extinct species back to life. Multiple books, articles and even a few TED talks have each approached the topic from different angles, or focused on different species. A new book on the topic caught my attention, not only for its approach, but also for the almost haunting art that graces its cover: the skull of a woolly mammoth and the head of a wooly mammoth facing each other across a dark background. 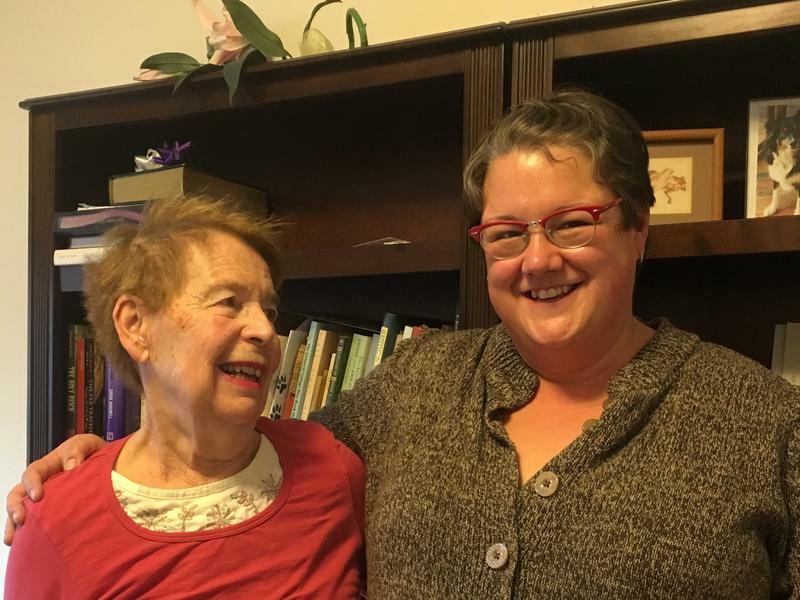 Poets And Retirees Collaborate To Create "Poems From Life"
As Alyce Ritti sat in the recliner in her bedroom, Camille-Yvette Welsch shared a poem she wrote inspired by Ritti’s life (see poem below). Welsch met Ritti 15 years earlier, when she was writing an article about Ritti’s art. Poems from Life brought them back together. “Oh, I have tears of joy,” Ritti cried after hearing Welsch’s poem.